Cairos Technologies, located in the sector of high-resolution 3D localization of dynamic objects, is trying to push its Goal Line Technology (GLT) system into the National Football League to improve the accuracy of game changing play calls, according to Engadget. The technology, which leverages magnetic field technology, was initially created with the sport of soccer in mind, and was trialed at the FIFA World Club Cup in Japan. Thin cables are installed in the turf of the penalty area and behind the goal line. Each cable has a unique amount of electricity running through it, generating a unique magnetic field. *A sensor in the ball is able to measure these magnetic fields as soon as the ball comes close to them. A transmitter in the ball sends the measured and encrypted data to a couple of receive antennas. 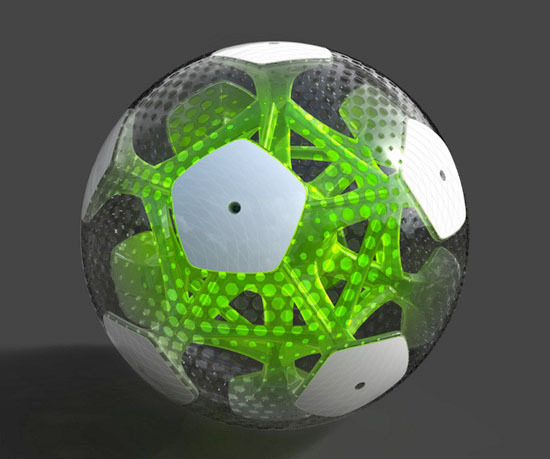 *The receivers are located behind the goal and forward the encrypted the encrypted data to a computer which determines when the ball has passed the goal line. *When the computer determines the ball has crossed the goal line, the referee is being informed on his watch via an encrypted radio signal. The whole process–measurement of the magnetic field up to the notification of the referee–takes place in a split second. To read the fully story click here.